Quackenbush drilling delivers tremendous accuracy and consistency, which is why it is considered the very best in advanced drilling equipment. Regarded as a leader in aerospace drilling, Quackenbush offers well-crafted products that are designed to allow you to achieve optimum hole quality. If you want a Quackenbush drill for your aerospace operation in Kansas City, Wichita, Dallas, Fort Worth, or another city in the Midwest, then you need to turn to Wm. F. Hurst Co., LLC. 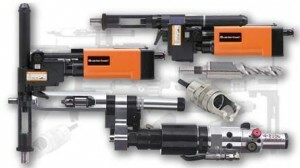 We are a trusted industrial supply distributor that has served businesses in the area for more than a half century, and we offer an unmatched selection of drills from industry leader Quackenbush, which is part of the Apex Tool Group. We also offer power tools from several other respected manufacturers, including Aimco, Sugino, Lubbering, and Chicago Pneumatic. Whether you’re looking for material removal tools, pneumatic tools, or assembly tools, such as a torque tool, we’re confident you can find the products you need among our comprehensive selection. Contact us today for more information about our Quackenbush drill options, and be sure to ask about our CribMaster industrial vending systems, which can help you manage your power tool inventory. Wm. F. Hurst Co. proudly serves businesses in Kansas City, Wichita, Dallas, Fort Worth, Columbia, Sedalia, and many other cities in the Midwest.